Black Panther (2018) has become one of the highest grossing films, the movie has made approximately $704,000,422 Shuri created this version of the Panther Habit along with the one later used by her brother. While T’Challa opted not to use this suit, deeming its gold color and design as being too conspicuous for his taste, Erik Killmonger would come to claim it after his duel with T’Challa, for his reign as the new Black Panther, believing T’Challa to have perished in their fight. Upon his second fight with T’Challa, the two combatants would utilize their respective suits. 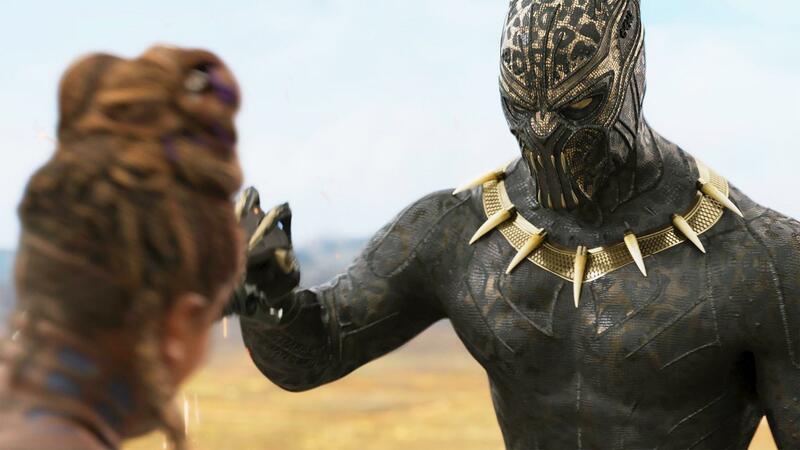 The suit is used by the main antagonising character Erik Killmonger, he obtained his suit from Shuri the Princess of Wakanda who initially created the suit for T’Challa but he didn’t want to use it. Erik Killmonger obtained this Golden Jaguar Habit which was based on the comic book’s character’s connection to leopards in the comics. The suit is known as The Golden Jaguar and has similar powers to Black Panther’s Vibranium suit such as Wakandan technology, suit manifestation, suit regeneration, energy absorption and kinetic energy plus.